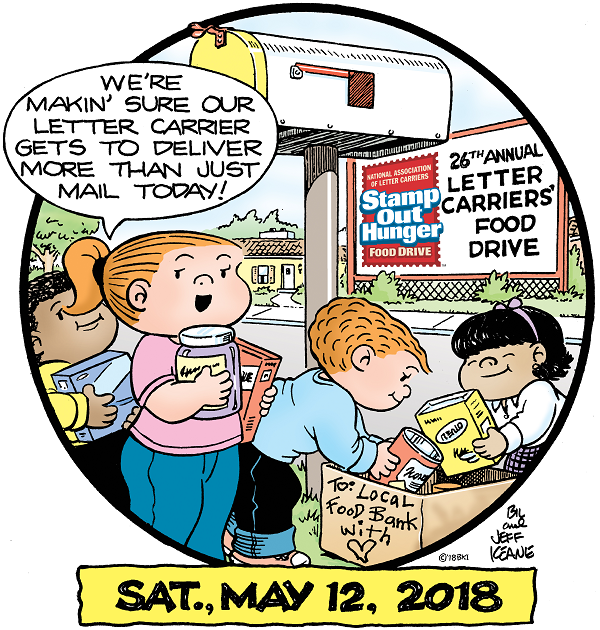 Here’s what you do: Dig through your pantry, gather up some food items, put them in bags and set them out by your mailbox. Your letter carrier will take care of the rest. Do donate non-perishable food, including cereal, dry pasta, pasta sauce, rice, canned fruits and vegetables, canned soups, chili and pasta, juice, peanut butter, macaroni & cheese, and canned meats and fish. Do consider donating healthy, low-sodium, low-sugar items such as beans, oatmeal and other whole grains, and canola or olive oil. 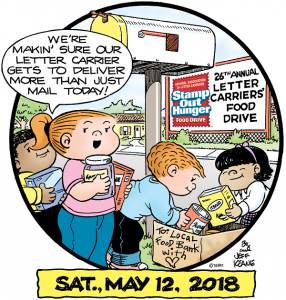 Do put your donations out before your letter carrier arrives. Don’t donate anything that’s perishable or needs refrigeration. Don’t donate anything that’s expired. Don’t donate anything that’s in glass containers. Last year’s drive took in a staggering 75 million pounds of food — the third-highest total so far — but I think we can do better this year. The donations will go to local food banks, so your donations will help feed hungry folks right here in the Inland Empire. For more information, click here. To read more, click here. This entry was posted in Uncategorized and tagged fundraisers by John Plessel. Bookmark the permalink.